The newly launched Equifund program offers a wide range of capital financing, ideal for startup projects and first-time entrepreneurs. In this informative session, you will have the opportunity to hear directly from the fund managers of two Equifund funds, and decode the must haves of a successful fundraising process. Konstantinos Mavros, General Partner of Velocity.Partners and Stelios Eliakis, General Partner of Uni.fund. 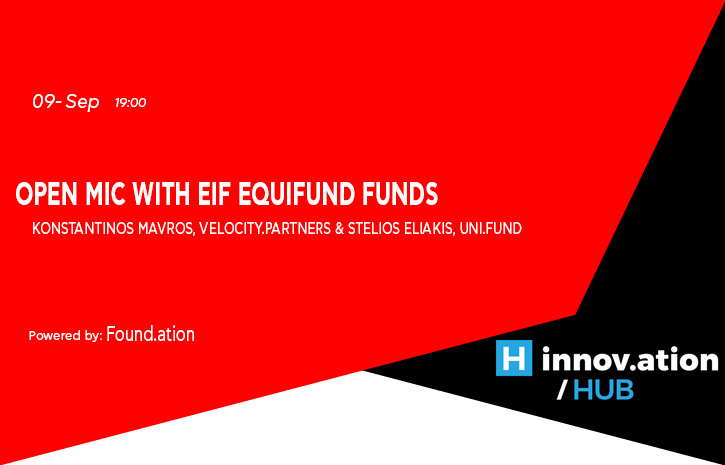 The discussion will be moderated by Filippos Zakopoulos, Managing Partner of Found.ation.